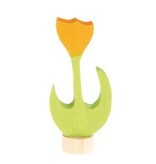 This yellow tulip figure fits into any of the birthday and table decorations. Grimms Decorative Figures are wonderful for decoration on our Birthday Rings, the Birthday and Advent Spiral and Lifelights. On a birthday table, a window-sill and on the nature table it creates a special atmosphere on each of the occasions. 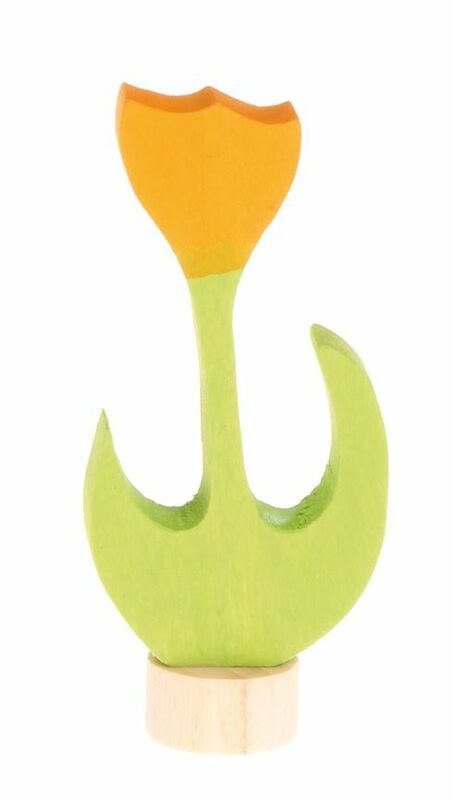 Materials: handpainted lime wood, non-toxic water-based colour stain. The Decorative Figures fit in all our Birthday Rings, and Lifelights.